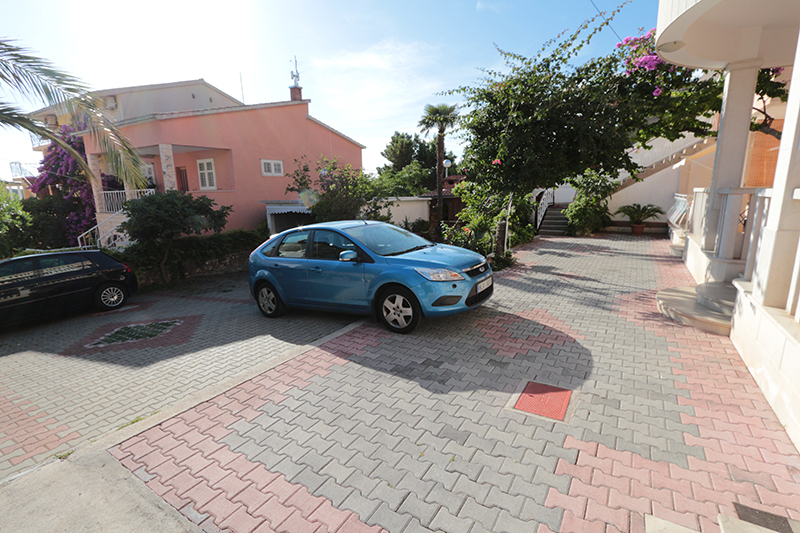 Apartments and rooms are located in the town center far away from traffic in quiet ambience with big garden and parking lots (apartments 1,2,3,5,6). Everything is in town center, Apartments 1,2,3,5,6 and rooms R1 and R2 are 100m far from main Kačić square, 200 m from the promenade. Apartments are far from noise and traffic so we gauarantee quiet and peacefull vacation. 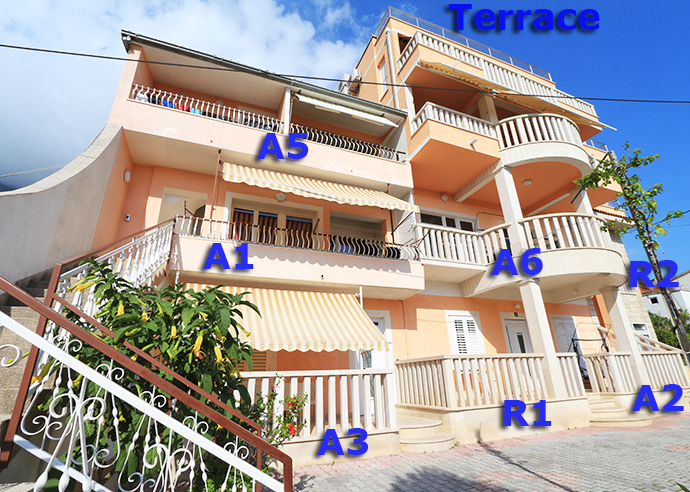 Apartment 4 is only 100m away from the main beach and sea. It is in the center in a flat on 3rd floor. 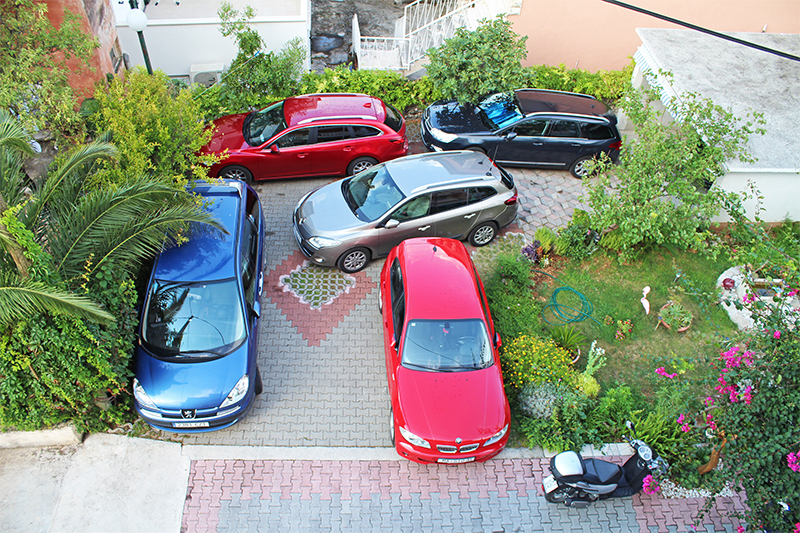 Parking in front of the building. 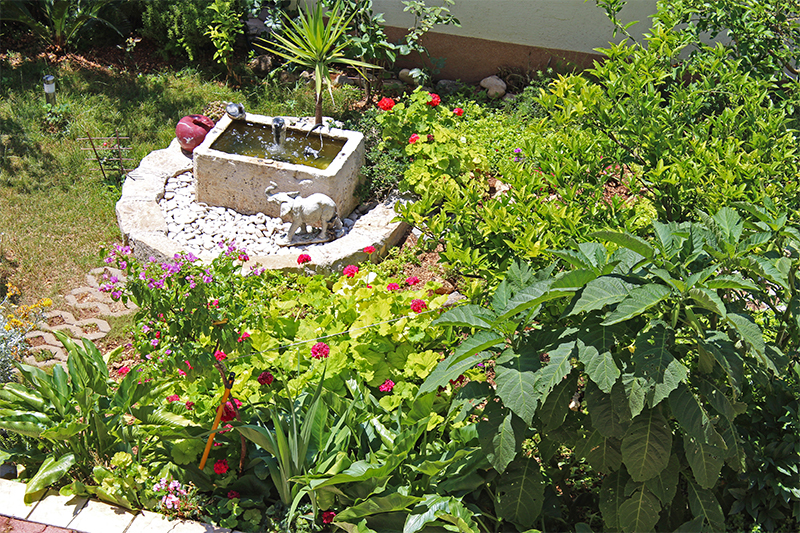 In front of our house, in the garden, we have a big fireplace where you can prepare meals from the barbacue and have dinner in quiet ambience of our garden. From the balcony your view streches to the sea and city harbour. 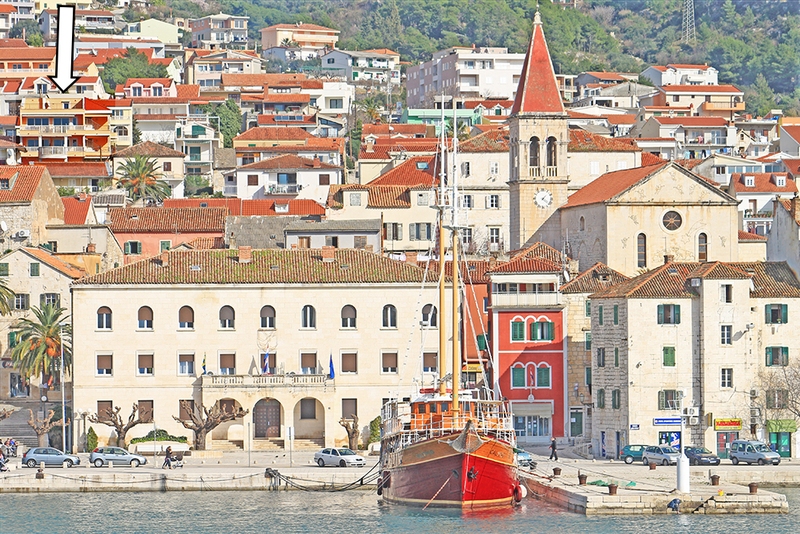 Islands Brač and Hvar will be on your sight too. 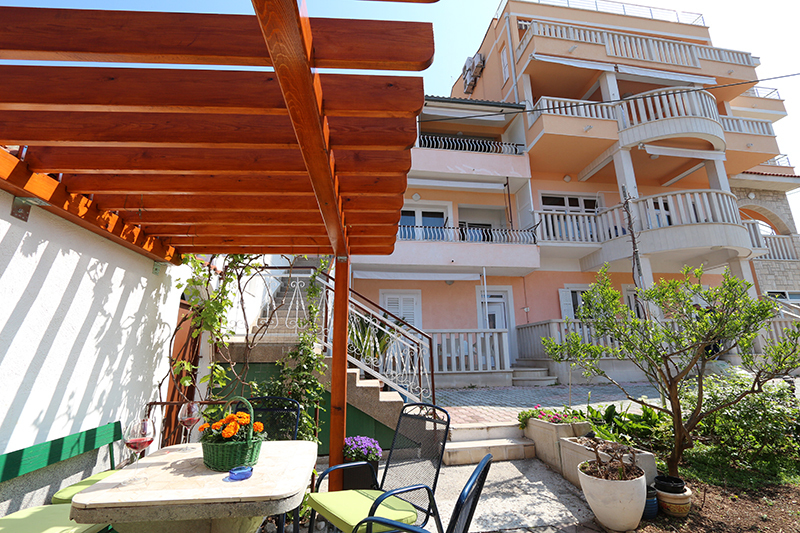 All apartments are equiped with airconditioning systems and Sat Tv. Stay in Villa Flamingo and book our Sea Excursions with great discount. Gyönyörű, igényes szállás, új konyhabútorral, étkezővel. Tágasak a helyiségek, és szép nagy terasz is van hintaággyal, szép kilátással a tengerre. Tényleg nagyon közel van a belváros (boltokkal, piaccal) és a kikötő, és a strand sincs messze. Nagyon kedvesek a házigazdák, mindenben segítenek, jól beszélnek angolul. 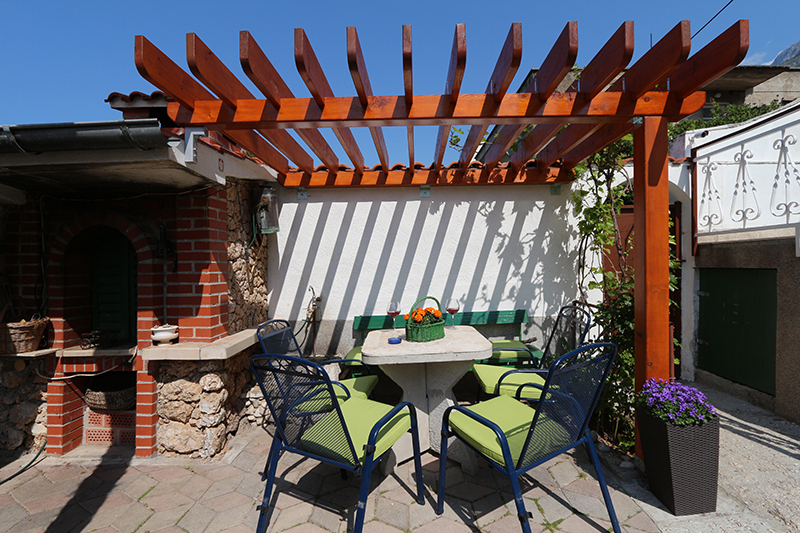 Fantastic apartments, two large bathrooms and three bedrooms with lovely private patio looking out to the well kept garden and bbq area. Incredible hospitable hosts - Owners were very friendly, warm and kind and always greeted us in the morning to see if things were okay. We were very fortunate to spend a night with the owner tasting local grappa while hearing about the history and croatia first hand. 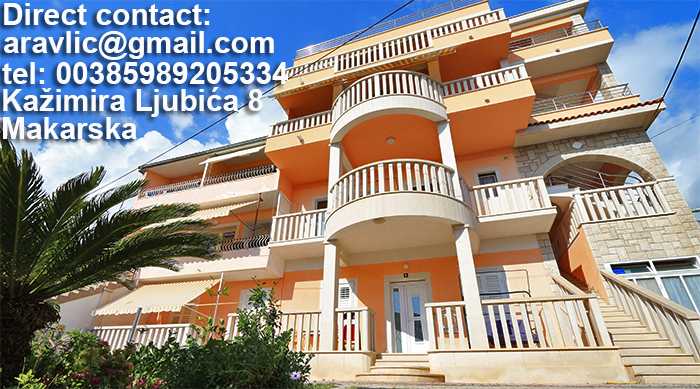 Amazing location, 10 min walk to beach, 5 min to main centre with supermarkets and lots of cash machines and 5 walk to bus station if you are coming from Dubrovnik or Split. 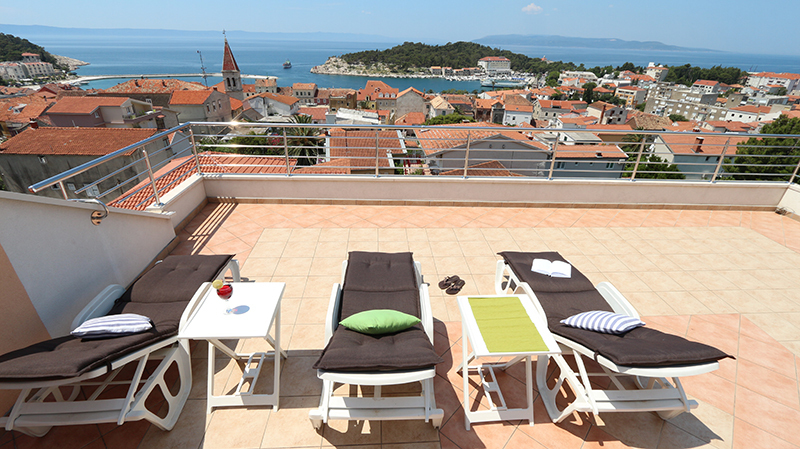 On top of the great service and location, there was a incredible rooftop balcony terrace with breathtaking views of Makarska and the islands, I would say one of the best in the town. Our arrival to Split took place 17 sept 2011. Father and son Ravlic took us to Makarska, a very nice place. We lived in apartment 7 . Good standard and a very beautiful view. Short distance to the old city, harbour and the beach. We appreciate family Ravlic's hospitalyti Our best recomandations to the family,appartment and the hole area. We hade a very pleasant stay. Look foreward to see you again sometime. We stayed at Ravlic apartments in September. Me and my family(5 persons) rented apartment 7 for one week. 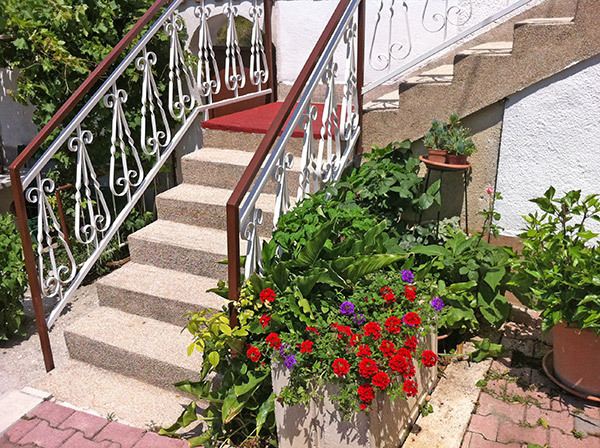 It was 3 stairs to walk but it wasn´t a problem even for my 80-year old mom- you could use the exercice.The apartment was wonderful, clean and fresh and with 2 bathrooms, 3 rooms to sleep in so everyone could have their own space. 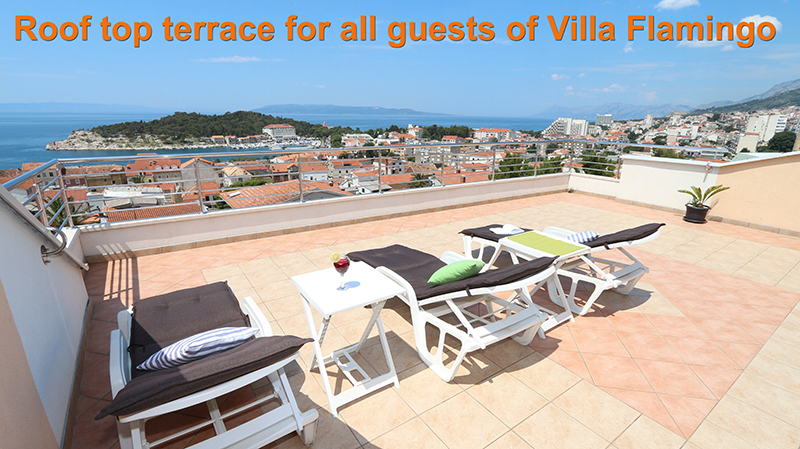 The best was the big terracce with view overlooking Makarska, the sea, the islands and mountains. The only thing we wished for was a larger table at the terrace. Every morning we could here the churchbells ring which was very nice. We spent the days at the beach- it was just a short walk from the apartment. The Ravlics was very serviceminded and arranged for us taxi-pickup-service from the airport- that worked out real good and costed 100 euro one way, not much though we were 5 tho share the price. For apartment 7 we payed 630 euro/week- a good price for that central location and big fresh apartment. We had a fantastic stay with the Ravlic family! We rented the newly renovated apartment 7 and it was AMAZING! The standard is very good, with aircon, wireless internet and television. The kitchen is simple, and does not have a stove. But I recommend Ravlic's own food served at the door -very good! What we liked the most, was the beautiful view! 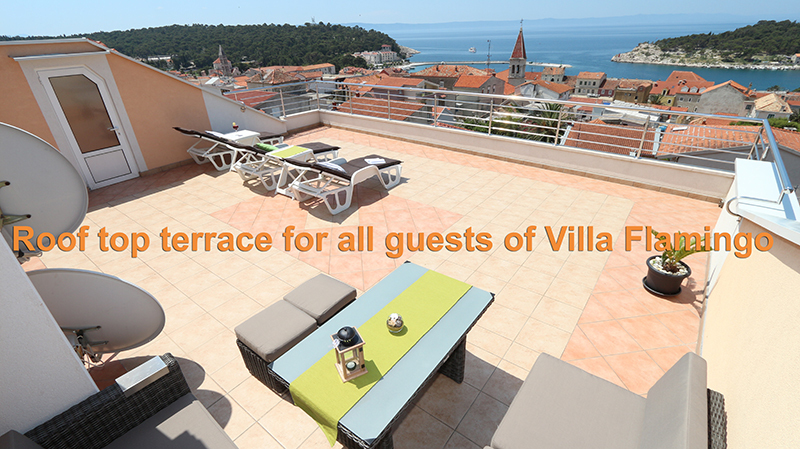 The terrace is huge and you can see Makarska, the ocean, the islands and the sunset ;) The Ravlic family are very helpful and service minded. We would recommend this place to everyone and hope to come back soon! júliusában töltöttünk 10 napot Makarskán, a Ravlic család 3. apartmanjában. Mindenkinek ajánlani tudom! Az apartman, szerintem, jobb mint a képeken látható, tényleg közel van a belvároshoz, piachoz, parthoz, a strand körülbelül 10 perc kényelmes séta. Pár óra alatt elérhető Dubrovnyik és feltétlenül érdemes megnézni a Biokovo nemzeti parkot, autóval kb 1 óra (31km, 1762 m magas!!! ), meseszép!!! Összefoglalva, mindenkinek ajánlom mind Makarskát, mind a Ravlic család apartmanját. 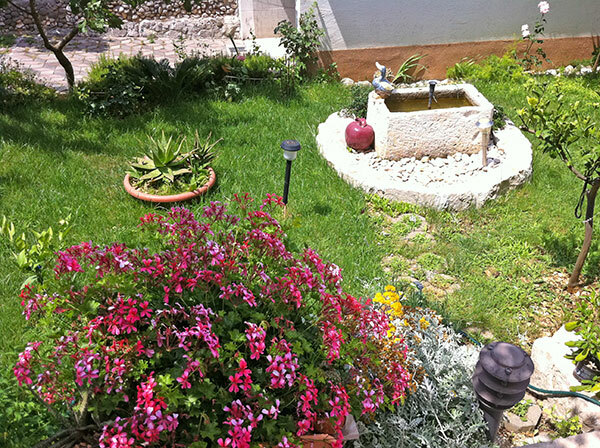 We spent 10 days Julies on Makarska, Ravlic family's 3. appartement. I can recommend it to everybody! The appartement, better than on the pictures visible. Is near really to the downtown, a market, a coast. The beach approximately 10 minutes of comfortable walk. Dubrovnik, about 2,5 hours with car, and is necessary to look at it inevitably the biokovo nature park, with a car kb 1 hour (31 km and 1762 m high!!! ), beautiful!!! 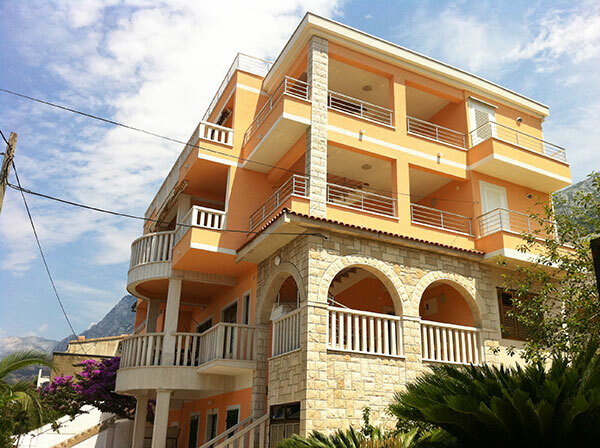 I all recommend it to everybody Makarska, and Ravlic family's appartement . In ultimii patru ani am fost in multe statiuni din Croatia, dar ceea ce am gasit anul asta in Makarska le-a intrecut pe toate: una dintre cele mai frumoase plaje cu o lungime cat vezi cu ochii, marginita de o padure de pini asa incat poti alege sa stai la umbra sau la soare, apa curata si calda, terase si restaurante care mai de care mai atractive, traditionalul "stari grad" cu strazi inguste si cladiri vechi din piatra; la cateva sute de metri de mare incepe muntele, cu o inaltime de peste 2000m, de fapt e zona de litoral unde muntele e cel mai aproape de mare. Si as mai putea vorbi la nesfarsit despre aces loc minunat. Am fost un grup de 10 persoane si am inchiriat doua din apartamentele familiei Ravlic. A fost locul ideal: oameni foarte amabili si ospitalieri. De exemplu, cand am venit obositi de calatorie, am fost intampinati cu bere, apa si suc rece - un gest de omenie care ne-a impresionat. I recommend to everyone Makarska and Ravlic family! To us Finns Croatia is still a country that not many of us are familiar to but that more and more people have started to discover. We have been travelling for many years to Spain, Italy and Greece but many thanks to a very visible campaign in the television we think that the message about Croatia is now well recieved among the people. Our family started to plan the trip a long time before we actually left. We knew that we wanted to visit this region because we wanted to experience something new. Today on the Internet it is very easy to find information about countries or places that you would like to visit and Croatia is described to be a very beautiful country with clean water, high mountains, lot of interesting places and history, kind people and good food. All that we have to say was not only for real but even better. 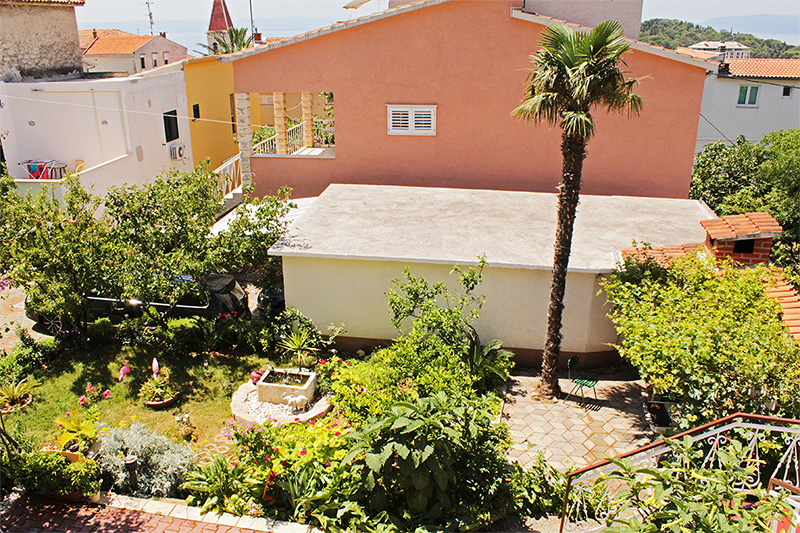 During our trip in May this year we stayed in the city of Makarska on the beautiful Makarska Riviera. 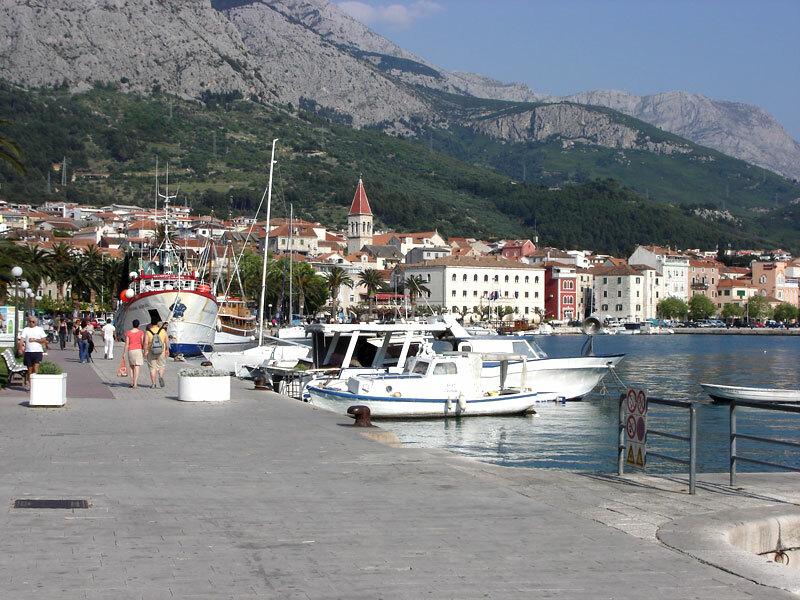 To have Makarska as a base we think was very good because from there it was possible to do shorter trips to many different places and directions. To mention a few we hired a car and drove down to Dubrovnik to see the Old Town and to Split to see this more modern city by the see. One thing that really made a huge impression to us was to go and see the city of Mostar in Bosnia-Hertzegovina. To go up in the Biokovo Mountains with this incredible scenery is also something that will take your breath away. For our family the trip to Croatia and Makarska was really one of the best trips we have ever made. In this case we would also like to say thank you to the Ravlic family that rented us this fine apartment and for their kind and caretaking hospitality.We will never forget the strawberry cake we had when we arrived. Many thanks also for their good advice about places we have to see and local restaurants that we have to visit. Finally we would like to recommend to all of you to go and see a really beautiful country. Vi floy til Split og familien Ravlic arrangerte transport for oss med minibuss til og fra deres hyggelige hus. Vi var 6 personer fra 2 til 58. Vi kan anbefale dette familiedrevne stedet pa det varmeste! Svart hyggelig og gjestfritt vertskap, som inkluderte oss i familiens pasketradisjoner og ellers hjalp oss til rette pa alle vis. En hyggelig hage og fin utsikt over byen og Adriaterhavet fra balkongen. Rene og hyggelige rom, nar sentrum og stranda men allikevel stille og rolig. Vi gikk turer i fjellet (sa gemser i den store naturparken som grenser til byen!) og langs stranda. Blir det for mye sol er det lett a soke inn i skyggen under furutrarne som vokser langs hele stranda. Den bestar av sma, hvite, glatte steiner, grov sand men god a ligge pa. Blide folk overalt og mye god sjomat. En trivelig by med gamle hus og trange gater, et godt ferievalg for liten og stor. english: We flew to Split and family Ravlic arranged transport for us by minibus to and from their pleasant house. We were 6 people aged from 2 to 58. We can recommend this family at the best! Very pleasant and hospitable hosts, who included us in the family's Easter traditions and otherwise helped us out in all ways. 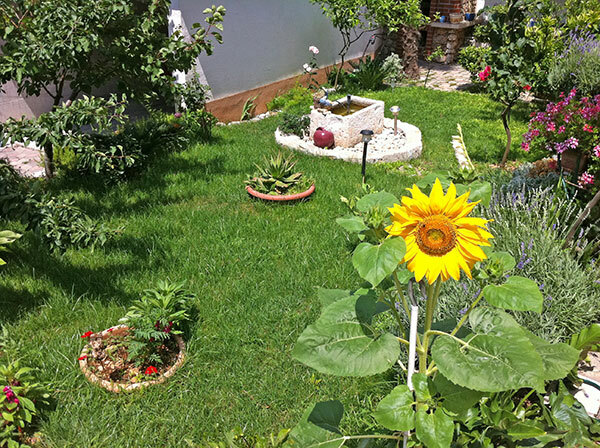 A nice garden and good views over the city and the Adriatic Sea from the balcony. 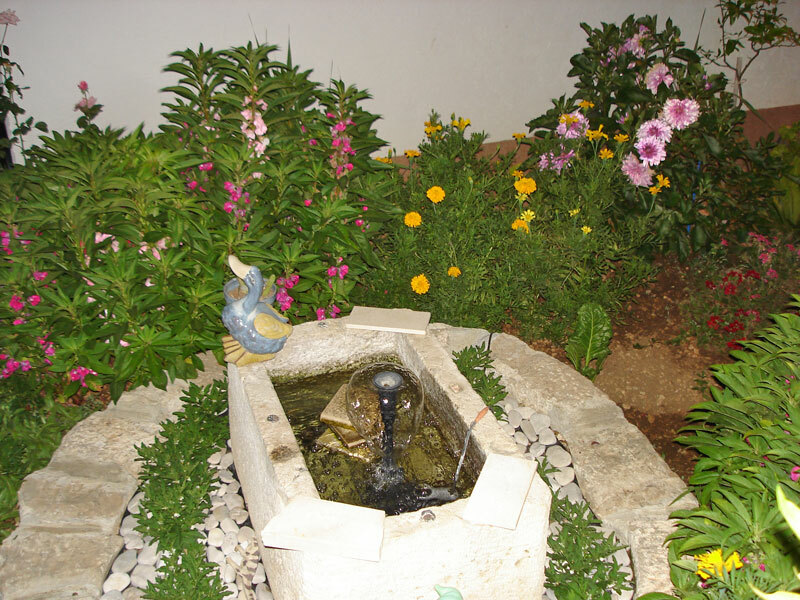 Clean and comfortable rooms, close to town and beach yet quiet and calm. We went hiking in the mountains (And saw the Chamois in the great natural park that borders the city!) and along the beach. If too much sun, it is easy to search into the shade under pine trees that grow along the beach. It consists of small, white, smooth stones, coarse sand but good to lie on. Nice people everywhere and a lot of good seafood. A pleasant town with old houses and narrow streets, a good holiday choice for young and old. 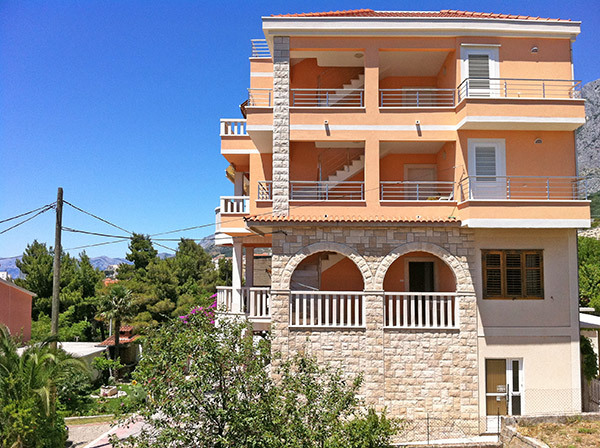 When we started our bookings of the holiday in Makarska, we booked the flight to Split separately and booked a great apartment at the family Ravlics! They arranged transport from the airport in Split to Makarska and back, which was a lot easier than the bus. We are a family of 5 with 3 children from 8-18. This was the perfect size village for everybody! And an incredible clean place to be! The whole family Ravlic, are a fantastic family, where the hospitality is amazing! With a washingmachine, we didnt bring that many clothes, and the rooms were great, everybody felt they had great space. We got served fresh figs from their tree in the beautiful garden. Makarskas local beach is packed with people, but if you walk along the pier, you can get a great space along the water and even rent a sunbed and buy refreshments. The water is soo clear and nice, dont hesitate, buy your children diving gear and they will be busy all day at the beach!! Many great restaurants with dinner choices for everybody in the family. 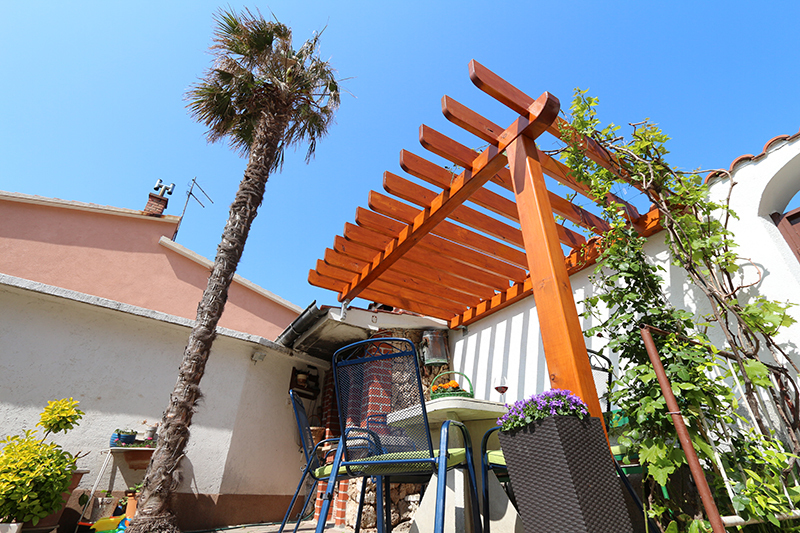 We absolutely recommend to stay with family Ravlic in Makarska!! One day we hope to go there again!! 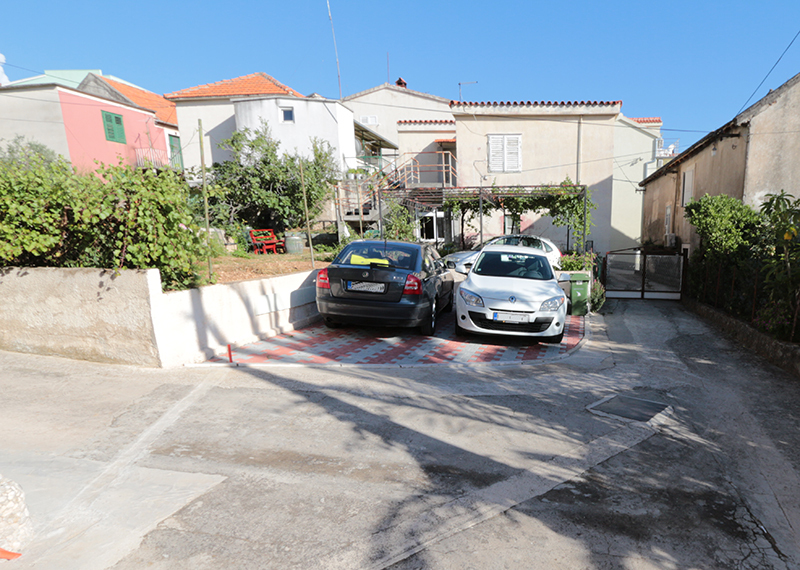 We felt most welcome in Makarska, and hospitality above what we expected. 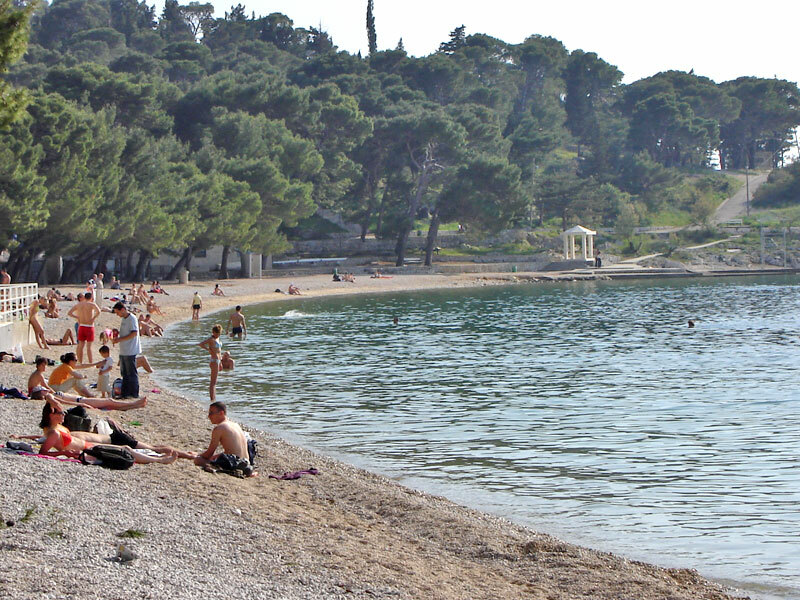 There are several families that expressed a wish to go back to Makarska. 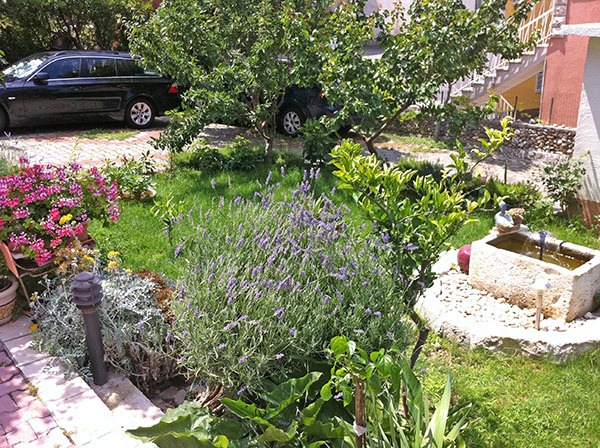 Thank you so much to family Ravlic for a very pleasant stay in Makarska for 12 days in May/June 2008. The apartments were nice and clean, situated in a quiet part of the town, a short walk from the square/market and the beach. Family Ravlic was very nice and helpful, and we felt very welcome in their house. The service prior to our visit was also very good, and everything was well organised. 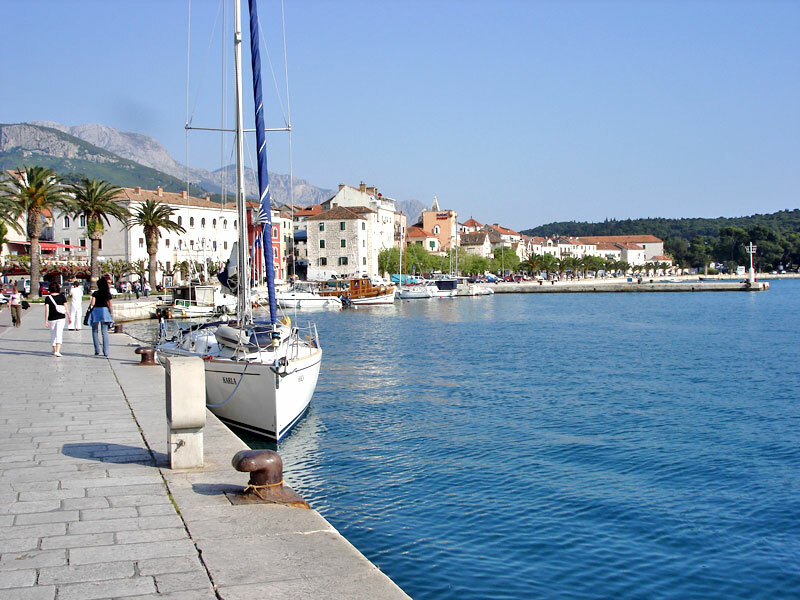 Makarska is a beautiful town at the Dalmatian coast. The town is quite small and quiet; still there are great opportunities for shopping and dining in the many restaurants. Best of all is of course the nice pebbly beach and the sea with its crystal clear water. Makarska is a great place to go on vacation with children. In the beach area there are trampolines, a roundabout and a playground. And our children were very excited about the fish museum! We've had a great holiday in Makarska, and would love to come back. We highly recommend this beautiful town and the Ravlic apartments. varmeste anbefale dette bostedet til alle. Vi takker familien Ravlic for meget hyggelig opphold i deres hus - i mai d.a. ned til sentrum. Sa vi anbefaler gjerne andre til a forsoke et leilighetsopphold her. Makarska was the best vacation i'v ever been to! In the end of june i went to makarska with my handballteam. we where there for two weeks, and we had a great time. we went to the beach every day, but there was no sand, only small rocks. the shops where near the beach. the food was great, and cheap too. we lived in the house to family Ravlic, they where very nice, and i want to thank them for two wonderful weeks. i enjoyd it so much that i want to come back summer 2008. 2007. we had a wonderful week in August in Makarska at Ravlic family's apartment. All Riviera Makarska was beautiful, was our occasion to admire. We liked the hidden little rocky beaches, where we were swimming and sunbathing in the crystal clear water. We are not first time in Croatia, but we claim that this is one of the most wonderful places certainly. Thanks to family Ravlic who are very kind, friendly and they were helpful, they provided for us calm and carefree relaxation! We recommend it to everybody, we would go back with pleasure! Har precis kommit hem fran en underbart härlig vecka i Makarska. Ska ni aka till Makarska rekommenderar vi stället & boendet varmt! 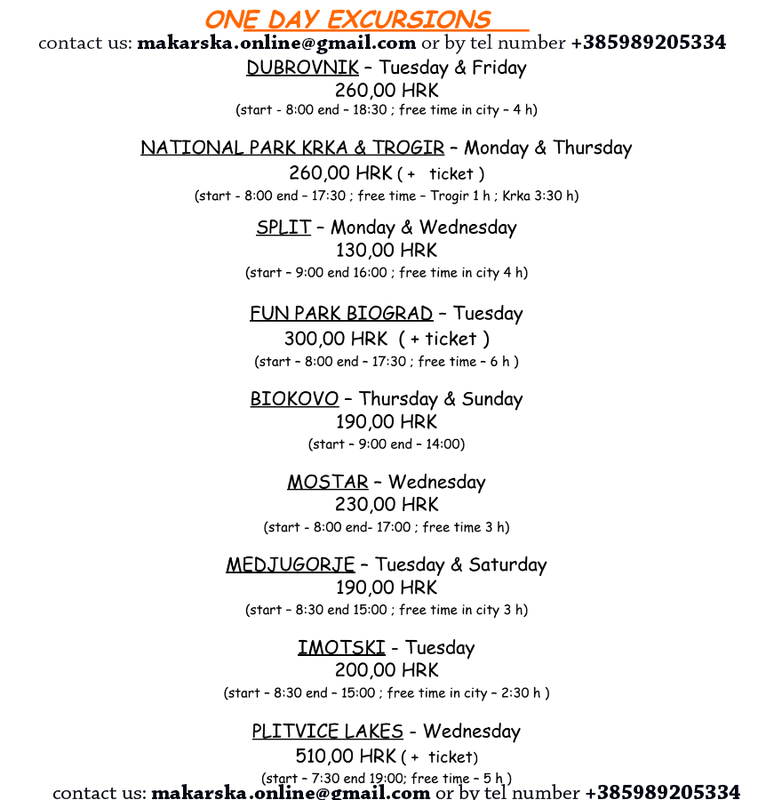 Makarska-Online.Net and everything was like description. Makarska was a fine place with all facilities, it has a lot of resturants with good and cheap food. I also have to mention cleaniness all over. Thanks to family Ravlic for a wonderful week with the best service ever. Regards from Lars og Jane, Geir og Mette. Snart är jag pa väg till Kroatien igen. Det är tredje aret i rad. Första gangen tillbringade jag en vecka i Podgora, strax söder om Makarska. 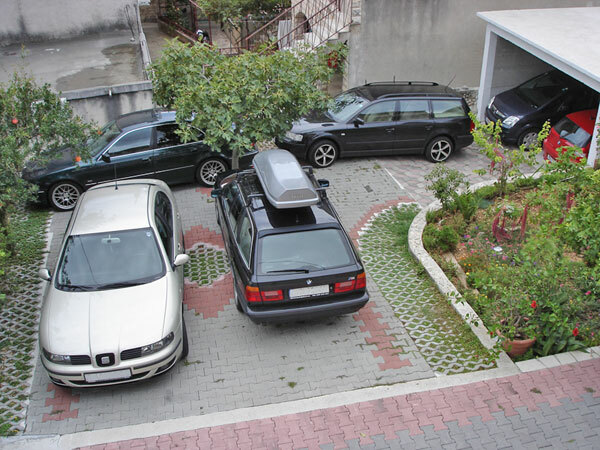 2006 reste jag ensam till den oerhört vackra staden Makarska. Det var en ren slump att jag hamnade där. Betagen av staden är bara "förnamnet". Dess arkitektur, vänliga människor samt ett oerhört rent vatten med vackra smastensstränder. Här samsas lugn och harmoni med, om man vill, partyliv, det finns nagot för alla! Jag hade turen att hitta Ravlic Apartments pa nätet. En otroligt vänlig och social familj. Lägenhetshotellet är en oas mitt i centrum, totalt lugn rader. Absolut inget ljud fran biltrafik mm existerar. Du kan koppla av i den vackra trädgarden, laga din middag vid grillplatsen och bara njuta! Bara ca 100 m fran lugnet hos familjen Ravlic hittar du Gamla Stan med tranga gränder, vackra, lite slitna ,byggnader och en massa restauranger, barer samt glassförsäljare. Missa inte den Kroatiska glassen, lika god som den Italienska!!!! Makarska is a vacation that i will never forget. I arrived by plane to Split airport, the house owner where i reserved my accommodation came to the airport to pick me up with his car so i didn't have to think about transport to Makarska. 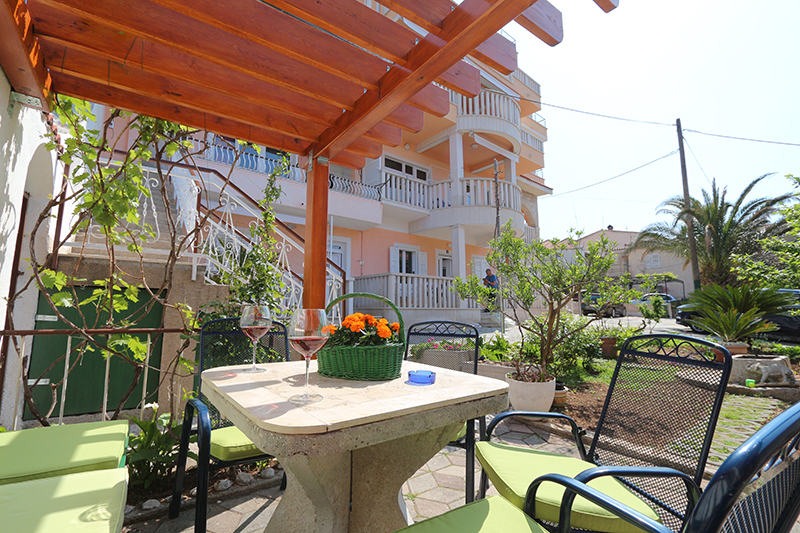 Me and my girlfriend reserved beutifull apartment in a private house in the center of Makarska. We spent 14 beutifull days in Makarska, swimming, sunbathing, exploring Makarska riviera. Especially we liked mountain Biokovo, it is something everybody should visit. Our hosts were great, we became good friends and we are planing to visit them again next June so we can enjoy again in this great town. Steve Johnson, London, UK, April 17.